Amersfoort The Netherlands makes for a perfect day trip from Utrecht, or a lovely break on the journey to or from Leeuwarden or Groningen. The pretty merchant’s homes, canals and historical city walls and fortifications touch the provincial city with some grandeur. Its compact city centre makes for a great place to stroll, shop and eat. 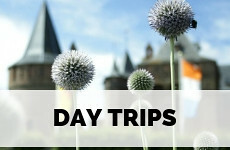 There is loads more to explore in Amersfoort The Netherlands. For me, it’s hard to believe that a city I live so close to was already a settlement in Mesolithic ages. Remains of hunter camps from 1000BC have been found, as well as grave hills. Amersfoort, however, wasn’t really formed until the Middle Ages when it was granted city rights in 1259. During these times the cities fortifications were formed around the canals of Amersfoort. 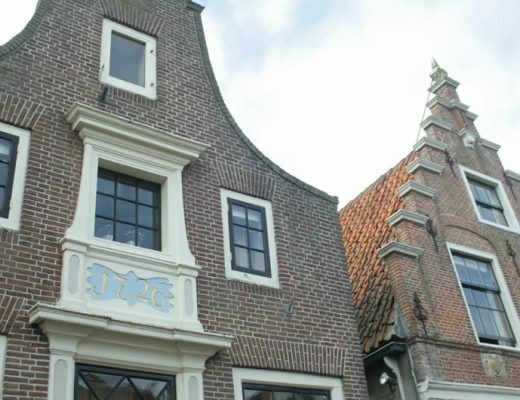 Trade in wool, beer, and tobacco are what made Amersfoort a rich town from the 1600s onwards. 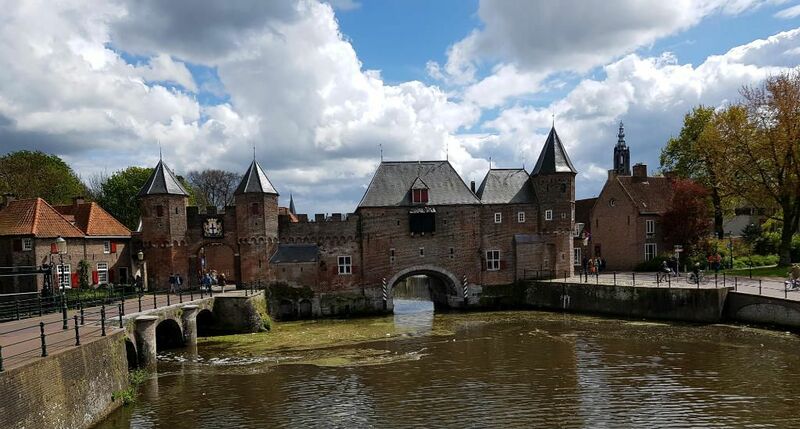 Nowadays, the city is still a great place to get lost in medieval alleyways, but also discover modern parts of town and pay tribute to Amersfoort’s most famous inhabitant, painter Piet Mondriaan. Amersfoort The Netherlands is situated along the Eem river. 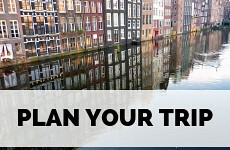 Due to the river and the structure of canals, the city is just perfect to discover by boat. 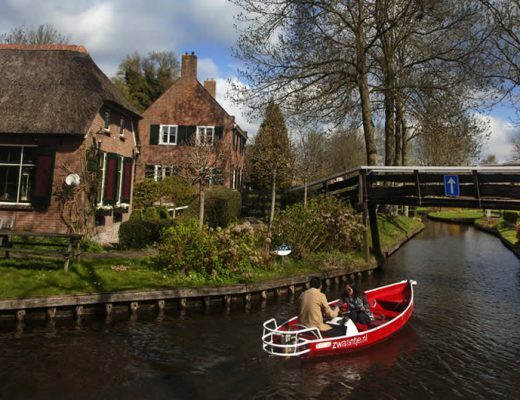 You can rent little boats, called sloepjes (dinghies), which you can use without a license. Check tariffs here. Like every Dutch city, it’s just great to be like a local and hop on a bike to explore Amersfoort. 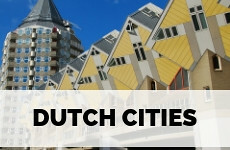 The city is far less chaotic than for example Utrecht or Amsterdam, which makes for a more relaxed experience. At every train station you can pick up a OV fiets for €3,85 a day, or you can rent a bike at Fiets Point in Amersfoort. 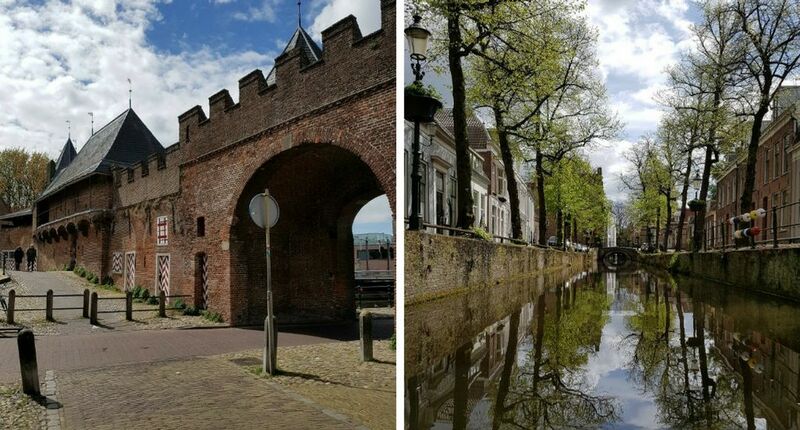 Koppelpoort is probably the most beautiful historical site in Amersfoort and a fine example of a water and road gate. It was built in the 14th century as the city’s main fortification and it was never breached. Two towers guard the roads along the canal, while small boats are able to pass through the archway. The gothic tower in the exact centre of Amersfoort is the only part remaining from a church that used to stand on this spot. A gunpowder blast blew up the rest of the structure in the 18th century. You can buy tickets to ascend the tower at the nearby tourist office. The ground floor of the church is accessible for free. Town square Hof is set next to the Saint Joris church and filled with a huge amount of cafés and shops. It’s the place where locals get together to shop for groceries at the weekly market, chat and watch the world go by. 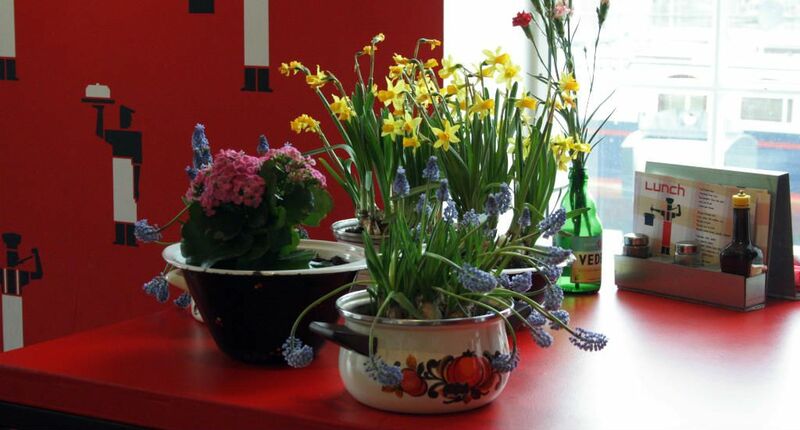 This small museum honours the work of Amersfoort’s most famous inhabitant: Piet Mondriaan. The exhibit is set in the house where the painter was born and illustrates his artistic development. Just west of the city centre, next to the Eem river you simply must visit this boldly designed museum that hosts big exhibits dedicated to contemporary themes and artists. The café is very popular, but there are more lovely options close by. 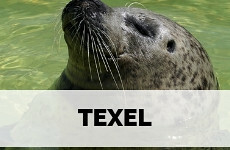 Several historical Amersfoort streets follow the line of the outermost canal of town, making for an excellent walk. 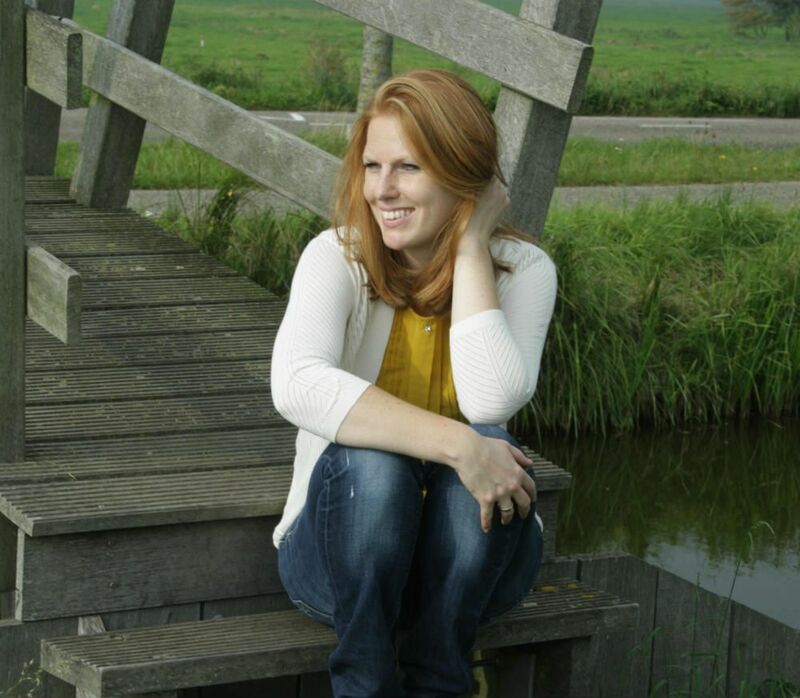 One of the prettiest of these streets is Muurhuizen, in the south of town. The street sometimes becomes so narrow that you feel completely closed in, while in other parts it opens up offering great views over the canal. 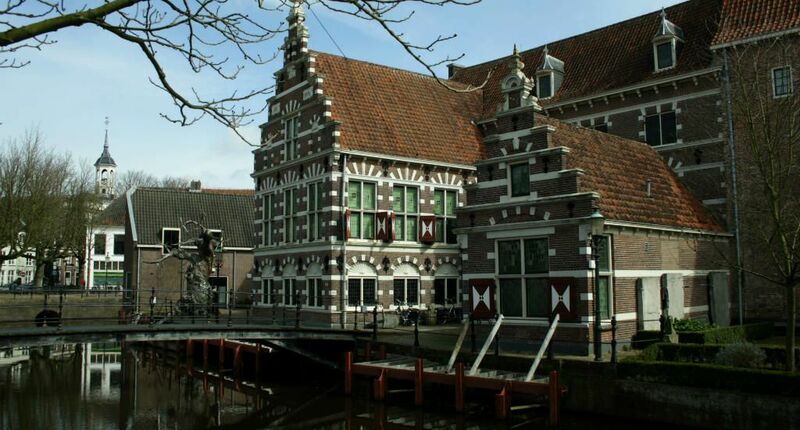 This museum is located in one of the most beautiful historical buildings in Amersfoort The Netherlands, with lovely gables and red and white painted shutters. Amersfoort’s city history is told through the paintings of Jacob van Campen and Matthias Withoos, the industrial developments along the Eem river and the stories of the Belgian refugees who lived in Amersfoort during the Great War. The National Monument Kamp Amersfoort is located outside of Amersfoort, near the village of Leusden and is now a memorial centre. Approximately 37,000 prisoners, mainly political prisoners, were incarcerated for varying lengths of time in this camp during the Second World War when it was under the command of the SS. After the war, the camp was dismantled and quickly forgotten, but nowadays you can visit and go on a tour. Highly recommended. The area around Eems harbour used to be a pretty heavy industrial area until a decade or so ago. But recently it has been restored to a new neighbourhood for living, working and shopping. And, along the river Eem there is now a beach. Called ‘Zandfoort along the Eem’ (after one of Holland’s most popular beach towns). It’s a great place to dig your heels into the sand and order a cool drink in summer. Factories used to stand just behind the harbour, but recently these old industrial buildings have been turned into creative workplaces, offices, shops and restaurants, giving the area De Nieuwe Stad a brand new façade whilst still celebrating the industrial past of the place. This café and restaurant has a really interesting history. 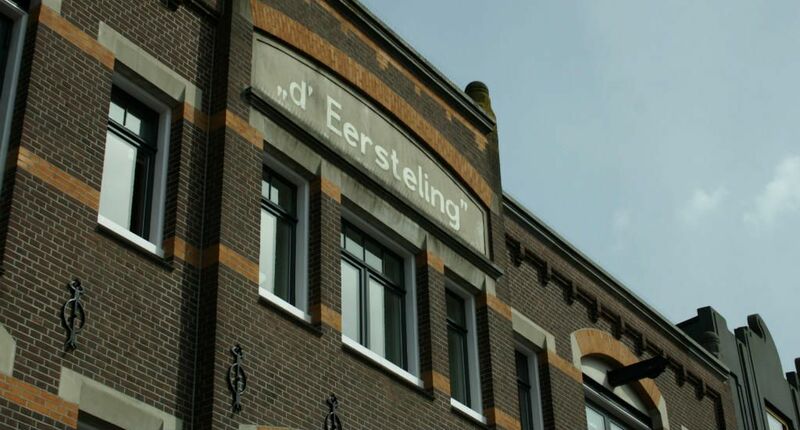 This place used to be one of the biggest soap factories in The Netherlands, but now it’s a great place to enjoy a coffee or a lunch, between the local artists that come there for a well deserves break. The terrace offers a nice view across the river. If you’re into fish, seafood, and oysters you better make a reservation at this restaurant. Their menu simply offers the best from the sea, but you can also order pretty decent fish and chips. This restaurant in De Nieuwe Stad is my favourite restaurant in Amersfoort. All dishes are prepared with local produce and you can see into the kitchen, and watch the chefs do their magic. If you go there for lunch, you simply pay one price and use the buffet as many times as you like. This café celebrates the croque monsieur to the max. You can pick very special toasted sandwiches from the menu, like one with Angus steak, herbal mayonnaise or brie. Ordering is pretty simple: just tear a piece of paper from the calendar next to your table, fill it out and take it to the bar. The best cakes in Amersfoort, in the most beautiful old building (an old convent). BUUF (which is how Dutch neighbour women call each other) is run by Carmen and Cesare who are both friends and neighbours (hence the name) and you simply must taste the pear nut cake or orange almond pie with your coffee. Having coffee in an urban jungle. 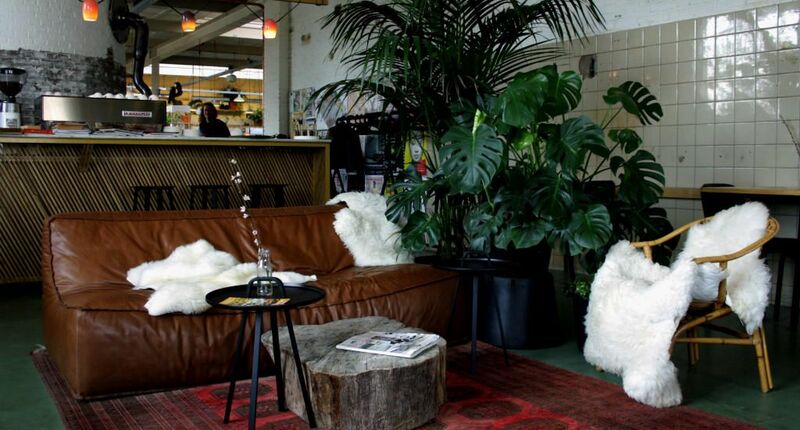 Livingstone’s is filled with plants, plants, more plants and some excellent furniture. And the coffee isn’t bad either. Sem is all about salads or mashed potatoes and vegetables (depending if it’s summer or winter), and you can order some pretty good soups, juices, and smoothies. Being and staying healthy is rather delicious here. 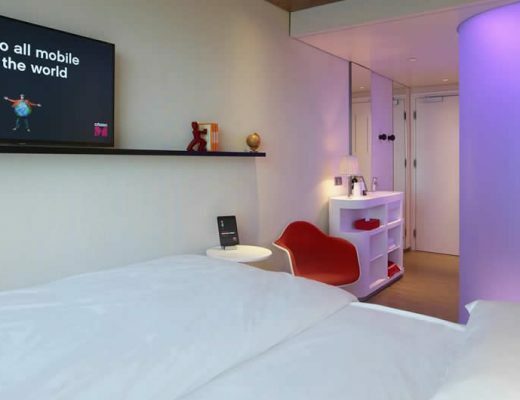 Smack bang in the centre of Amersfoort The Netherlands, I simply can’t get over the fact that this hotel is rated with just one star. The rooms are very tidy and light, though it does pay off to opt for the somewhat larger room with your own bathroom. There’s a large terrace out the back and the cafés on the square are just the best bonus. Amersfoort grew to be a rich city, due to the tobacco trade. Hotel de Tabaksplant (the Tobacco plant) is located in a historical merchant’s home and a fantastic place to stay. The rooms are spacious with all the historical details of the building still visible. There’s a large living room and garden to boot.